Give more value to customers by offering personalized news content for their home and interests. Bloom's newsletter can help you learn more about your customers and automatically craft personal emails for each one based on their unique preferences. "Implementing the Bloom newsletter at Roomeze has been a positive selling feature for clients and new hires alike. Many of our users are moving to unfamiliar areas. Being able to provide them with hyper localized news, events and recommendations based on their new address is yet another element that sets us apart from other real estate tech players. Bloom's ability to tailor features to our specific newsletter needs has been a genuine asset in expanding the Roomeze brand and service." Embed one of Bloom's subscription forms on your website to automatically collect information about a customer's interests and neighborhood. Their information is sent to your CRM. Craft personal emails from accurate, personal data. Bloom treats personalization as an entire experience, not a just a greeting. 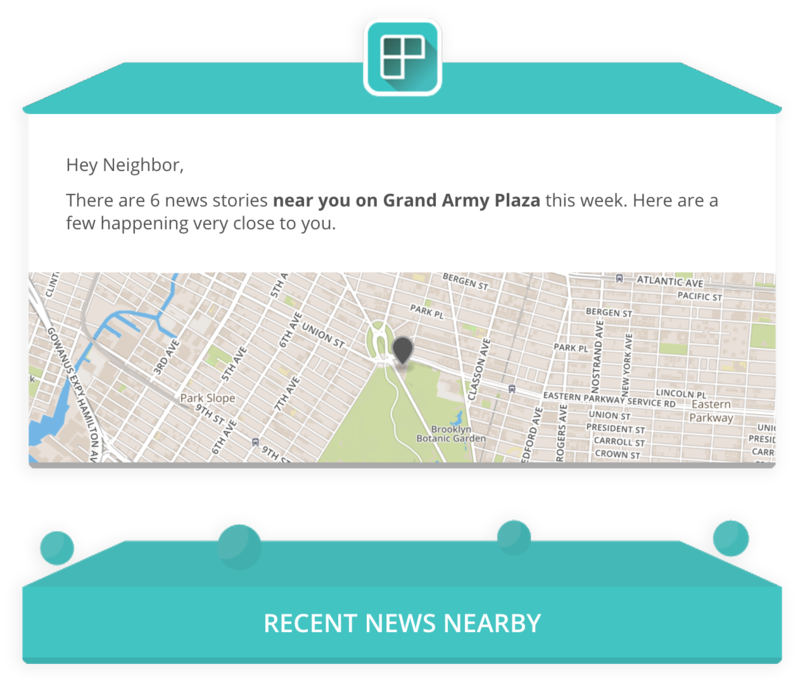 Based on your customers locations, we'll populate each email with news and events from local publishers. In your Bloom account, you can easily customize your newsletter's experience by its layout and algorithm. Once your settings are chosen, Bloom automatically prepares emails for each subscriber by matchmaking their preferences with news and events happening near them. Send the newsletter as frequently as you need to. You can preview a personalized email for any of your subscribers at any time, and adjust the layout or algorithm as needed. Bloom can help you track how subscribers with certain preferences are interacting with local content. That means more insight into subscriber behavior that can help you make better decisions on your personalization settings and the type of content they prefer. The newsletter consistently achieves an average open rate of 35%, over 2x the industry average. This temporary pilot newsletter consistently achieves an average open rate of 35%, over 2x the industry average.